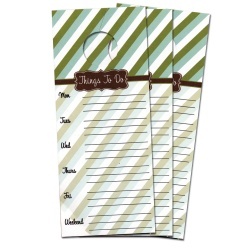 Turn your mundane "To Do" list into something fun and exciting! Hair appointment on Wednesday? Jot it down. Refreshments for Sunday's game? Jot it down. Payday on Friday?! Jot it down. You get the picture! Buy some for yourself and for the forgetful Frannies in your life.